SEO got you stumped? Don’t worry – JSA Interactive is a Boston SEO agency that specializes in helping local businesses large and small get found online through strategic search engine optimization. If you want your company’s website to appear on the first page of Google (or Bing or Yahoo! 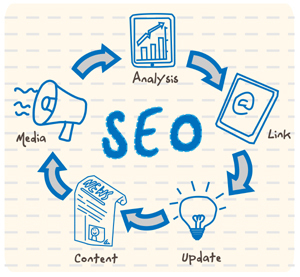 ), then you need to make SEO a priority. The process of search engine optimization makes it easier for your potential customers to find you online, and the better the SEO, the more visible you will be. But you don’t need to be an SEO expert yourself to make it happen – instead, you can hire the team of SEO experts here at JSA Interactive, a Boston SEO agency that specializes in strategic search engine optimization for businesses, whether you’re a mom and pop store or a corporation. They’ll work with you to optimize your website, making it easier for the search engines and the search engine users to find you when they need you. To hire JSA Interactive as your Boston SEO agency, simply request a quote, tell us what you need, and a JSA Interactive representative will be in touch soon to discuss your options and how we can help. And for more information on what we’ve done for our clients so you can get an even better idea of what we can do for you, we invite you to please check out one (or all!) of our free case studies, available for download instantly.